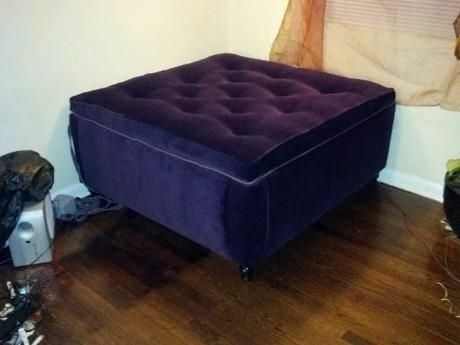 Tufted storage ottoman. 4 x 4 x18. 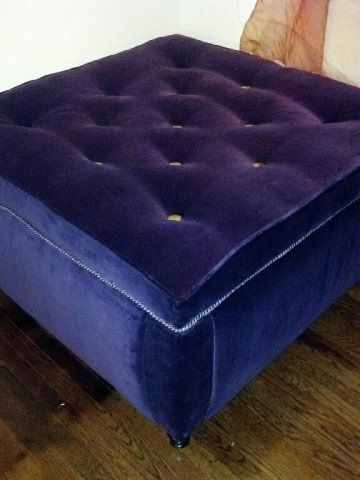 Upholstered with an electric purple velvet. This ottoman would make any living room or loft space pop!